"The most pleasant workers we've ever had the pleasure of hiring! The guys are a dedicated team of professionals who are efficient, tidy, considerate and deliver exactly what they promise. From the initial planning stage to the final outcome, we couldn't ask for better. 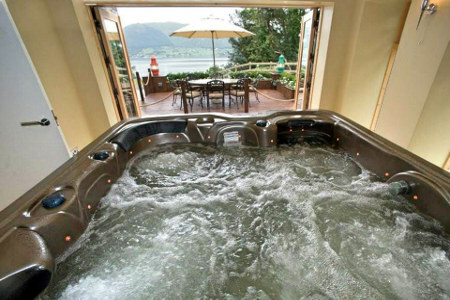 We were informed of suitable options for both the en suite and main bathroom and any hidden hitches discovered along the way were handled quickly and efficiently. We felt the team went above and beyond just a basic service. 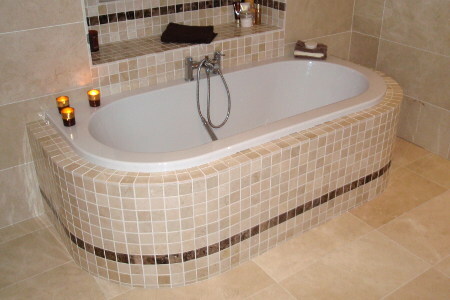 Banbridge Bathroom Centre provide top quality products and a top quality service!" - Nicola, Belfast. "Can not recommend this company highly enough! From the moment, we walked into their showroom to get advice and choose all we wanted and needed, they were excellent. The job was done within a week and the workmanship was fantastic. We are extremely happy with the results! Thank you so much to all the team for a top quality job." - Kirsty, Lisburn. 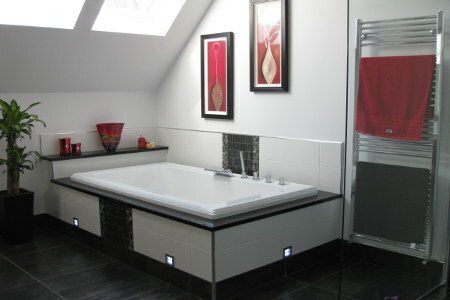 "Banbridge Bathroom Centre provided me with a quick helpful and professional service from start to finish. I would have no problems recommending them to others who may be renovating or building new homes. I will be returning to use them again in the future." - James, Co. Down. "A quality job from a truly talented team of workers. Impressive teamwork from all involved. Very professional in all aspects of the job from our initial approach to final installation. From design creativity and attention to detail. We also appreciated them giving us good ideas which enhanced the two rooms. 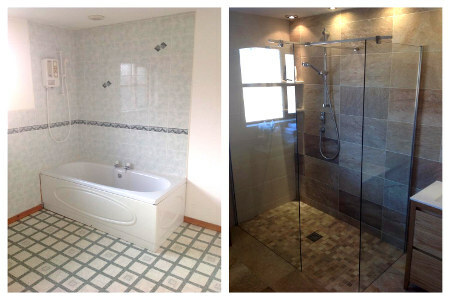 We are absolutely delighted with our new bathroom and en suite. Many thanks to all the team for a great job." - Anne, London. "My experience with Banbridge Bathroom Centre has been outstanding. To date we have had a bathroom, a toilet and shower room completed in full by them. Also our kitchen floor and walls have been tiled. In addition our living room and hall have had a superb solid oak floor fitted. I cannot recommend them enough. 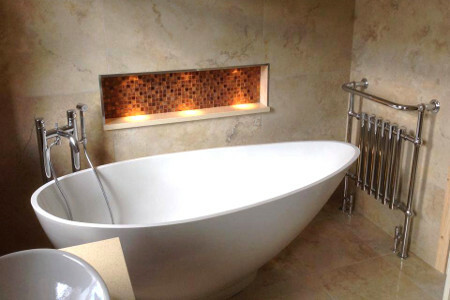 The customer care was flawless from the initial consultation, the subsequent quotes and fixtures and fittings. Their organizing skills were exceptional with their experience and professionalism allowing a smooth journey through the renovation process. This was matched by the workmanship of all the workmen....joiners, tilers, plumbers. No task or evolving change throughout the process proved a problem. The tradesmen worked like a well oiled machine completing everything on time. The finished product excelled our expectations. My family are totally delighted with the results. None of which would have been possible without the total and unique package that Banbridge Bathroom Centre provide. My advice to anyone considering any work of this nature is to call with them at their showroom. You will not be disappointed! " - George, Co. Armagh. Why not speak to one of our team today and experience our world class customer service for yourself!